In Test planning, SM job can start with team level changes w.r.t complexity in current sprint or software. After completion of team level changes, SM can concentrate on risks Identifications. Delays in delivery ( Unexpected problems). Lack of Seriousness to developers. After completion team level changes and risks identification corresponding scrum masters can follow IEEE 829 Standard format to prepare test plan like shown below. Unique number or Name as Title. About client and current sprint or software. Names of all modules in current sprint or software. Names of modules to be tested. 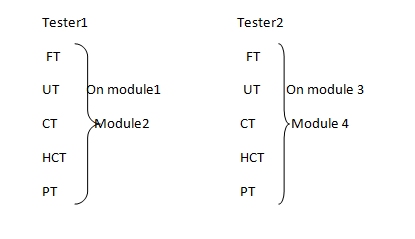 Names of modules not to be tested ( Those modules are already tested in previous sprint). Paste of strategy given by PO. Required hardware and software for testers in current sprint or software testing. Documents to be prepared by testers. 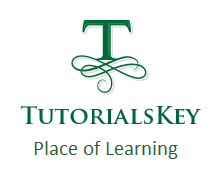 Test scenarios, test cases, test data, test scripts, defect reports and test logs. -> Sprint / software is build to ready to release by developers for testing. -> Test scenarios, test cases and test data was ready. -> Critical / Show stopper bug came. -> More minor bugs in pending ( Quality gap). -> All major bugs closed. -> All modules or features are tested. 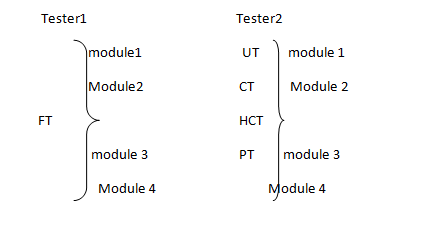 Names of testers in ST.
Work allocation to testers in any one of two ways, such as modules wise allocation and topics wise allocation. Dates and time for testers. Previously analyzed risks and solutions to overcome those risks. Signatures of PO and SH. The above IEEE 829 test plan format will be followed by scrum master in MS word or Open office word. 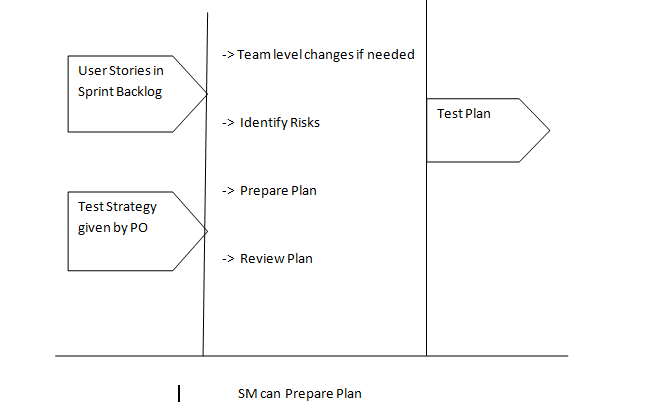 Test strategy is a part of test plan but strategy will be prepared by PO and plan will be prepared by SM. Scrum master can take approval on test plan document from PO and SH. And then SM can take feedback on test plan from testers to change plan if needed. In this article we have seen Software Testing Life Cycle – Test Planning – Manual Testing. In the next article will see Test Design.